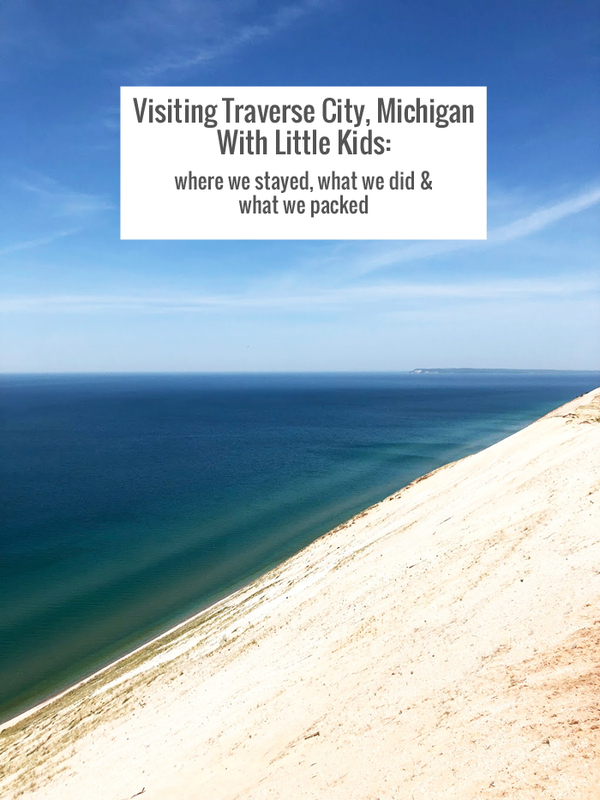 Traverse City, Michigan, is one of our favorite places and somewhere we try to go just about every year. You can read about our past trips in 2016, 2014 and 2013. Last week we went again, this time with two kids and Andy’s parents, and had the most wonderful time, as always. It was a short trip, just three nights, but you could easily stay for weeks and still have things to do! 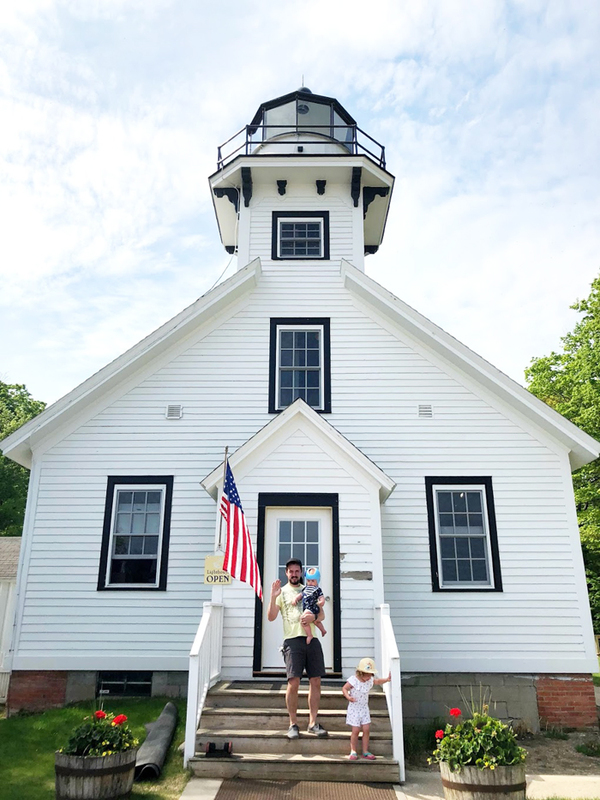 Visiting TC and Leelanau County is always a nostalgic trip for me because I started visiting the area when I was about ten with my parents. We lived in Alaska at the time, and for several summers in a row we rented a cottage for a few weeks in Northport, which is a tiny, sleepy town about 45 minutes up the road north of TC. I remember Norman Rockwell-like summers of bike rides to town to get ice cream, sailing with my dad on our little one-and-a-half-person sailboat, and eating corn-on-the-cob that we got from a side-of-the-road farmstand that same day (on the honor system — just put your money in the tin can and take what you want). Years later I started visiting TC every year with friends during college and then eventually with Andy. The Traverse City area has changed drastically since I first started going, but it’s only gotten better in my opinion. 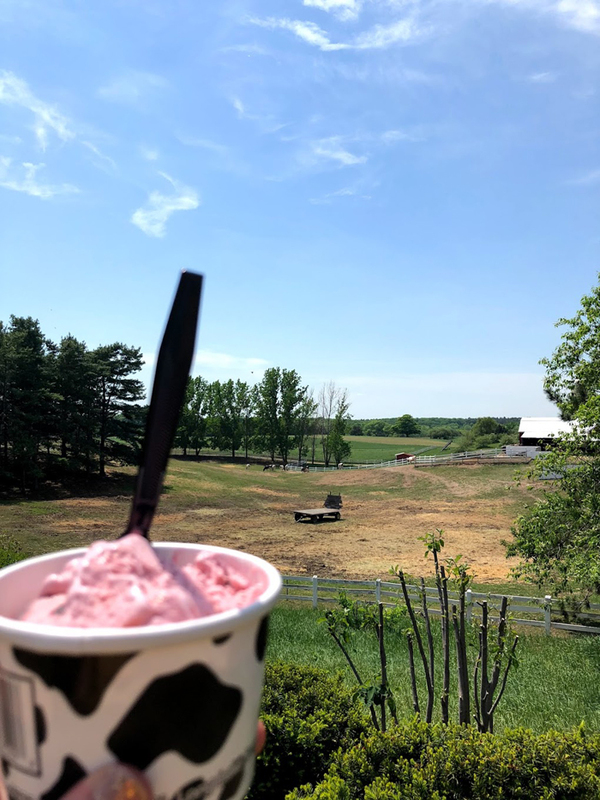 Now there are world-class restaurants, amazing wineries, and so many more fun things to do — in addition to the same laidback lifestyle and honor-system farmstands. This visit was our first with two kids. It was actually Olly’s first vacation ever (second child syndrome — Joey had been to several states by the time she was Olly’s age!). And since Andy’s parents also came with us — or we technically crashed their vacation TBH! — it was also their first time to the area. We decided that with four adults and two children, an Airbnb would be the best option. 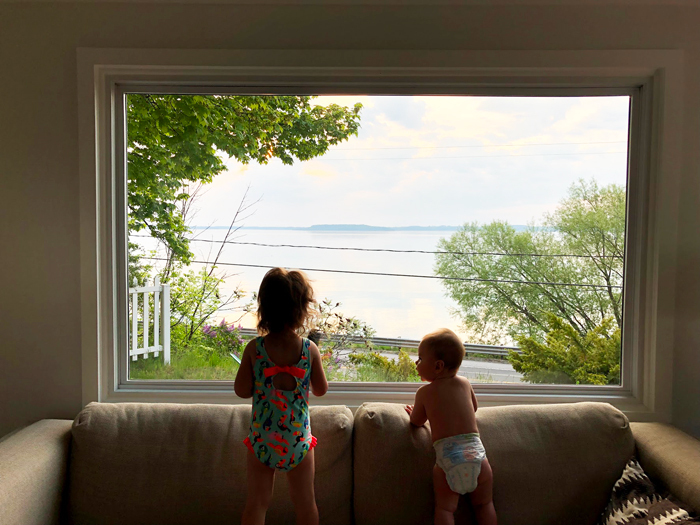 There are so many great ones in the area (Megan at Fresh Exchange wrote a great post about all the best places to stay in Traverse City and Leelanau County as well as a list of things to do with kids in Traverse City), and we were so happy with Bayshore & Eagle. I chose it based on location, room for all of us, and, honestly, it looked really cool. Bonus points for having both a crib AND a closet full of toys that the kids loved. All we needed to bring was a travel toddler bed for Joey. Both bathroom renos were so good. Apparently these shower doors are from Home Depot if you can believe it! 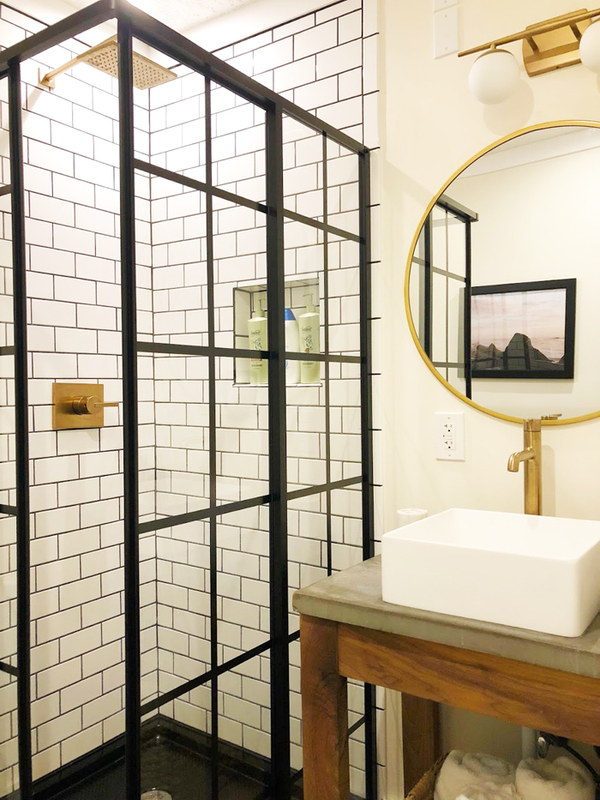 And props to their tiler because dark grout on white subway tile can go very bad very fast if you’re not a perfectionist, and these lines were impeccable. These are the things I notice. One day Andy and I were lounging on these couches watching TV and one of us randomly mentioned how comfy they were, and the next thing we knew we were both on our hands and knees looking for a label! Turns out they’re Ikea, so as soon as we got home, like seriously within ten minutes of walking in our door after a six-hour drive back to Cleveland, we started measuring our living room to see if these would fit in our house. 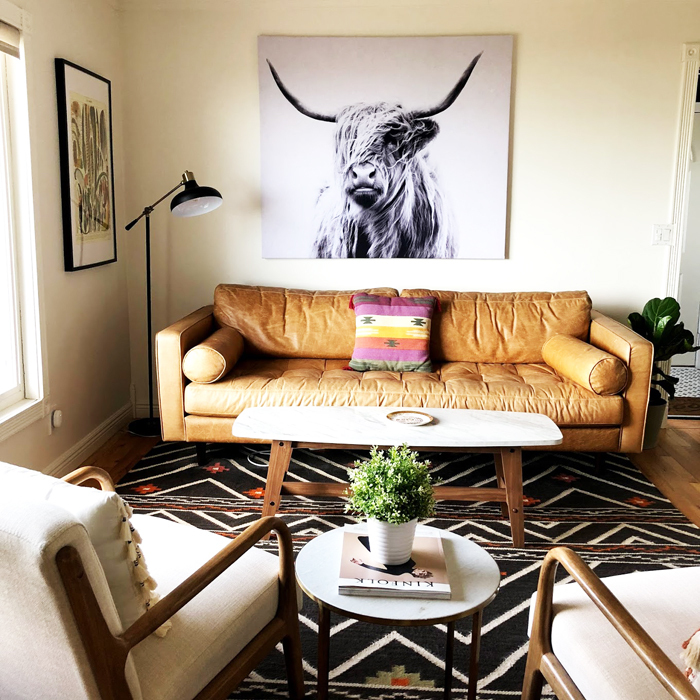 It would require a totally different layout, but we’ve been thinking about replacing our sectional anyway (because #peggygate), so I think we might go for it! Pierce Stocking Scenic Drive at Sleeping Bear Sand Dunes: it’s impossible to explain to someone who hasn’t been to Sleeping Bear just how amazing it is. Living near Lake Erie, you think you know your Great Lakes, and having been to beaches you think you know sand, but this is just SO MUCH BETTER than anywhere else ever. On this drive through the national park, which you can do in an hour or so, you go through such an incredible diversity of ecosystems, from deep, dark forest to sandy landscapes that look like they’re from another planet, and the views, oh the views! There are several stops along the way to get out and see the scenery. With kids in tow, Andy and I decided to take turns at each stop so that one of us always stayed in the car and the kids didn’t have to go in and out of their carseats a bunch of times. 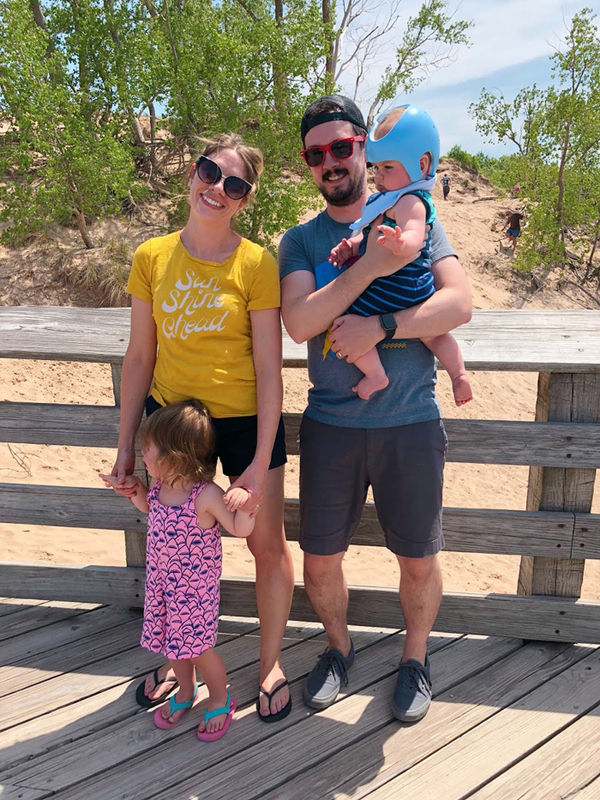 At the big Lake Michigan viewpoint (stop 9 on the tour), we brought the kids because it’s so worth it (Joey had an epic temper tantrum there, but that’s nothing unusual for a two year old. She was crying in this photo above, but sometimes you just have to smile through it!). Older children would probably love the nearby dune climb. Mission Point Lighthouse: the drive through Old Mission Peninsula to the lighthouse at the very top is one of the most beautiful drives you’ll ever take. 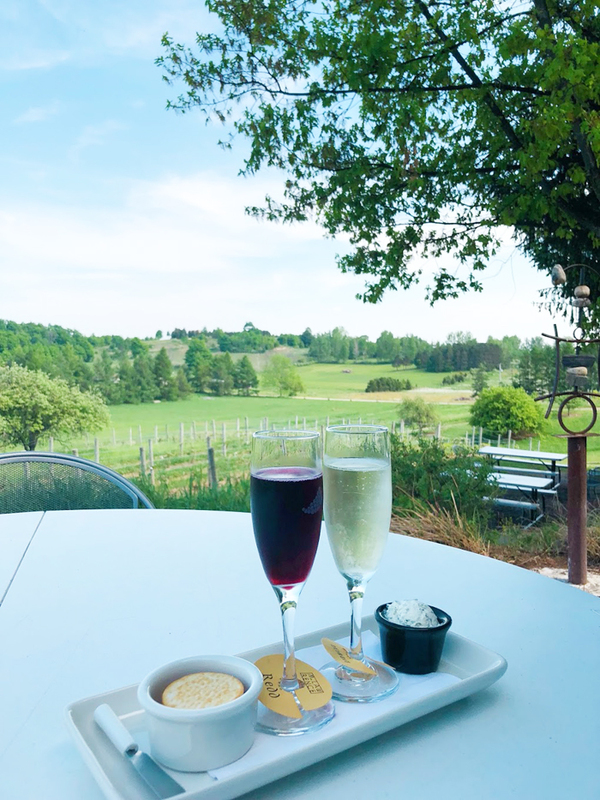 With vineyards and wineries on either side of the road and views of Lake Michigan beyond, it’s simply breathtaking, and another reason we love this whole area so much — you can go from sand dunes to forest to city to vineyards all in a matter of minutes. The lighthouse is small and cute, and honestly we didn’t pay to go upstairs, but Joey enjoyed walking around the grounds and especially collecting shells on the beach. 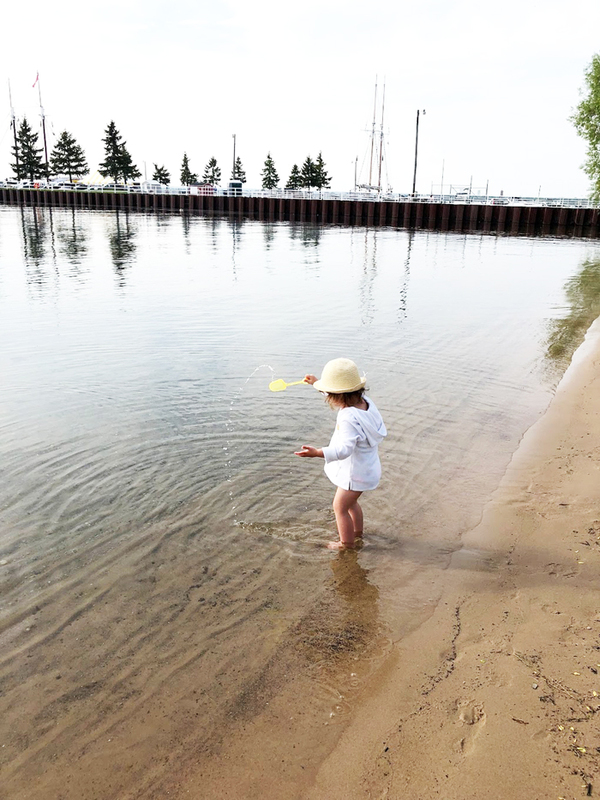 There’s a cute and very well-maintained playground and beach just outside of Traverse City at Grelickville Harbor Park, which was close to where we stayed. While Olly took his morning naps back at the house, I would take Joey to the park to play on the equipment and in the perfectly clear water. Vacations are difficult when you have two kids who need naps, and when one of them takes two two-hour naps, being able to take the other kid out to do something fun is absolutely critical. Just take a bucket and shovel to play in the sand, or borrow one of the ones in the “toy bucket” at the park, which is a collection of left-behind toys that anyone can play with — such a great idea. There’s also a cool splash pad at Clinch Park in downtown Traverse City that we didn’t have a chance to go to, which would also be fun for older kids. Jolly Pumpkin: While on Old Mission Peninsula, stop here for lunch or dinner and you won’t be disappointed! We always make a point to eat here on every trip. It’s family-friendly AND adult-friendly. Patisserie Amie: I’ve mentioned this on past trips as well, but it’s worth mentioning again. If you want a BIG, delicious breakfast, this is the place. I always order the Belgian waffle which is piled high with mounds of whipped cream. This is a good place for sharing meals. It’s a super cute little place and the servers are the nicest. There are a ton of good wineries in the TC/Leelanau County area. What you don’t realize is it’s actually on the same longitude as northern Italy/southern France, so there are similar growing conditions. Isn’t that crazy! Andy and I aren’t big wine drinkers, but we do love our bubbly of course! Two tasting rooms that we especially love are L. Mawby (pictured above) and Chateau Chantal, both of which are also in absolutely gorgeous locations. L. Mawby specializes in sparkling wines, and they’re all so good (Detroit is my favorite — it’s very sweet and fruity and tastes like juice). Chateau Chantal has a wide variety of wines including the most delicious sparkling cherry wine you’ve ever had. We’ve taken our kids to both places and it’s been just fine. 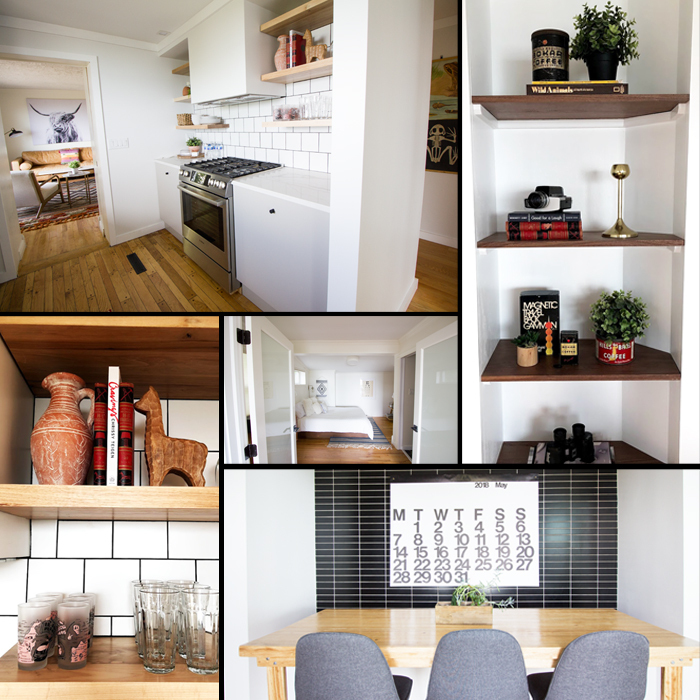 We are minimalists at heart so we like to travel as light as possible. 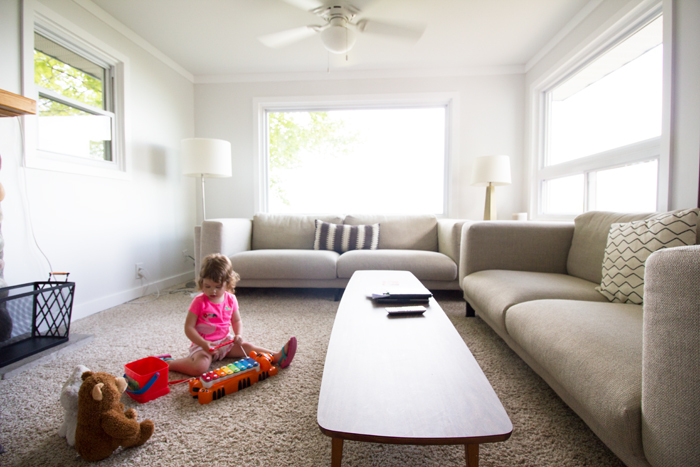 Our rule of thumb is one play outfit for each day, a couple nice outfits for dinners out, 1-2 extra outfits for just in case, one set of jammies, and two pairs of shoes (that goes for the adults, too). If we have to rewear something or wash it, no big deal. We take one favorite toy and blanket for each kid. Then just basic necessities: 4-5 diapers for each day for each kid (if we have to buy more, fine — when we fly or travel for longer times, we buy diapers when we get there), baby shampoo, one package of wipes, a couple burp cloths, sunscreen (that adults can use too), two bottles for the baby, a sippy cup for the toddler, and a formula dispenser with pre-measured formula is so helpful when you’re away from home/wherever you’re staying. Joey has her own little suitcase and backpack that we brought on this trip (even though we didn’t really have to, but extra space is the benefit of driving). She loved having her own and being in charge of carrying them. 8. toddler girl’s swimsuit, Target — they match! Traveling with kids isn’t easy. I’m not going to lie and say it’s always rainbows and happy children. 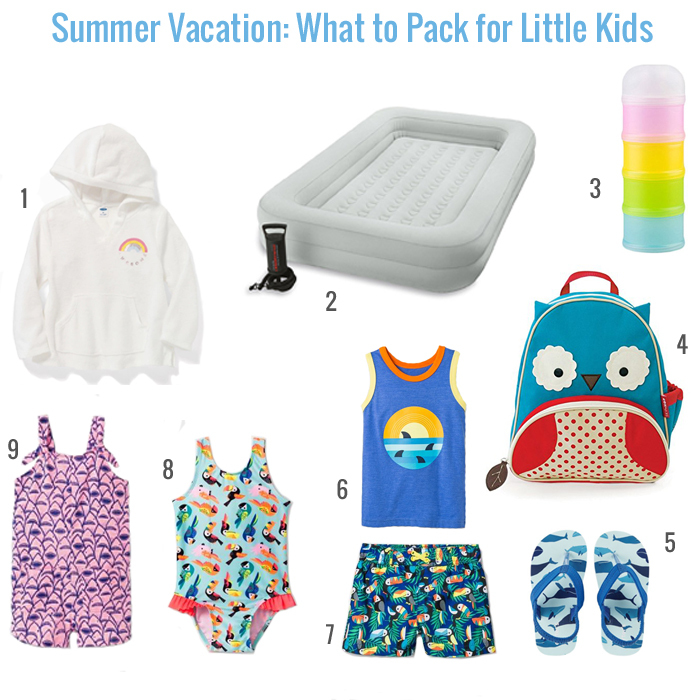 Both kids had several breakdowns, daily, usually due to being overtired, overheated and/or over-hungry, as we tried to pack as much as we could in between naps in 90+ degree weather. But we 100% believe it’s worth the trouble, for them and for us. The giggles, the fun family memories and the experience of seeing new things far outweigh the temper tantrums. … or maybe buy a place of our own??! !